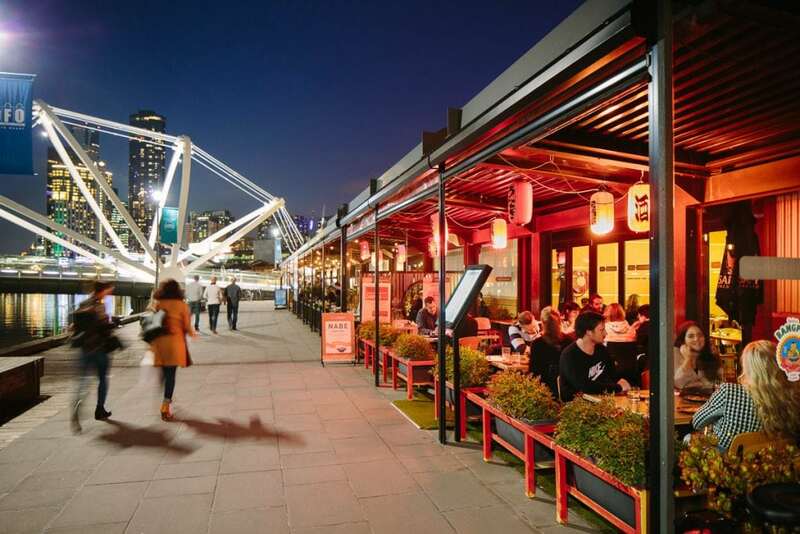 South Wharf Restaurants brings together South Wharf’s most unique riverside restaurants, bars & venue spaces for cocktail parties, special events, weddings, meetings & conferences. 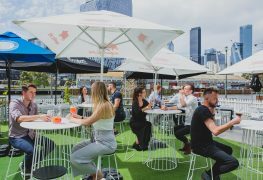 Whether you are planning a boutique wedding for 30, a sit down dinner for 100 or a function for 5000 guests, South Wharf Restaurants offer an exciting collection of unique function venues in Melbourne, including 6 restaurants and 2 purpose built Event Centres. 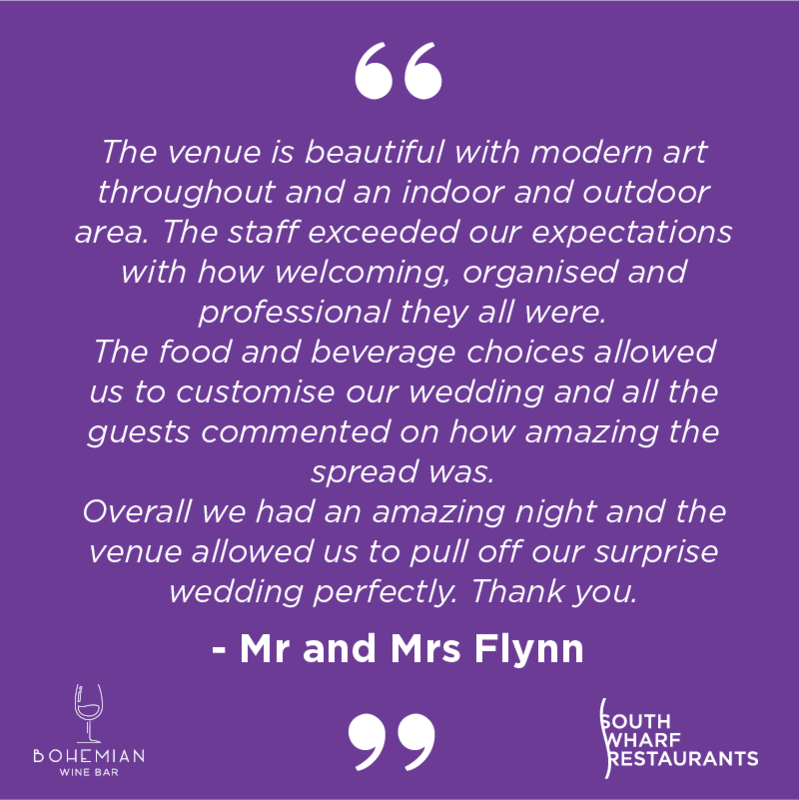 Contact our Events manager Eliza to find out about the right space for your event. Large open space with soaring ceilings Common Man is Suitable for large events up to 200 people standing, or 130 people seated. 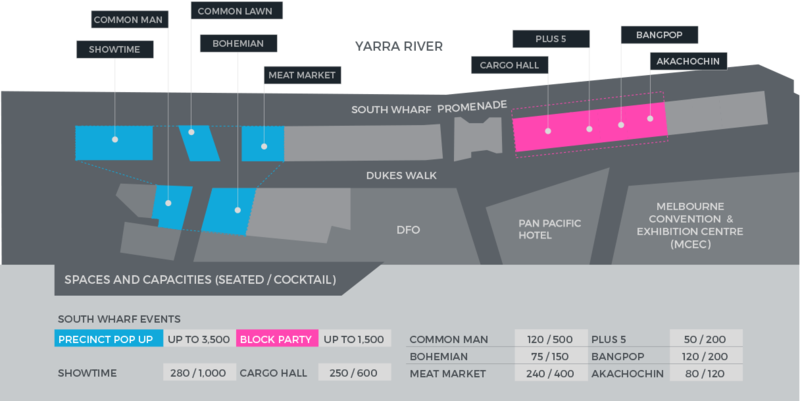 Integrate this venue with the Common Man lawn for events for up to 500 people. 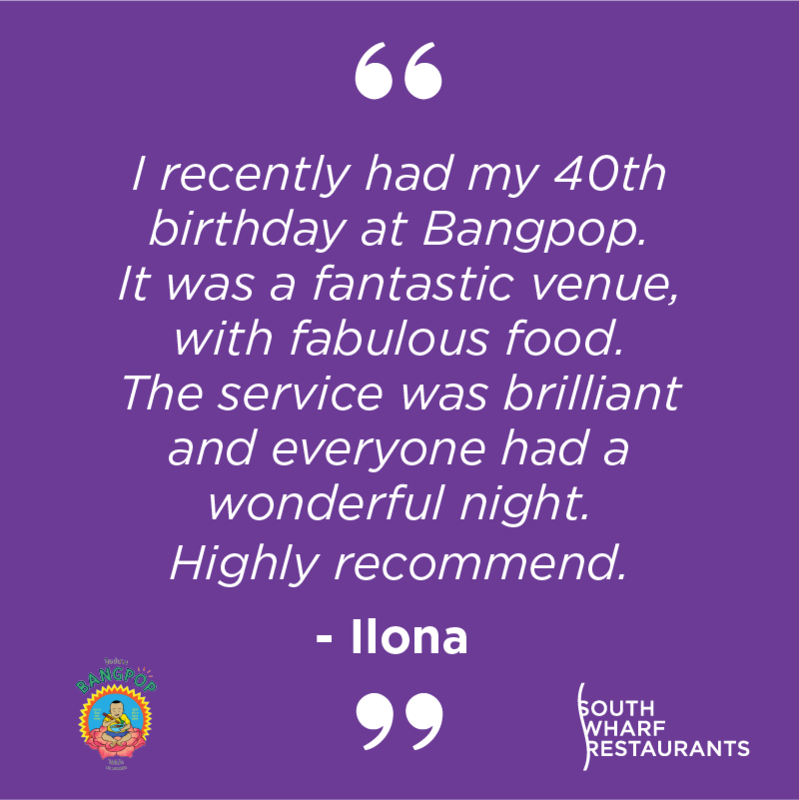 Bangpop can be booked exclusively for large events up to 200 people standing, or 80 people seated. 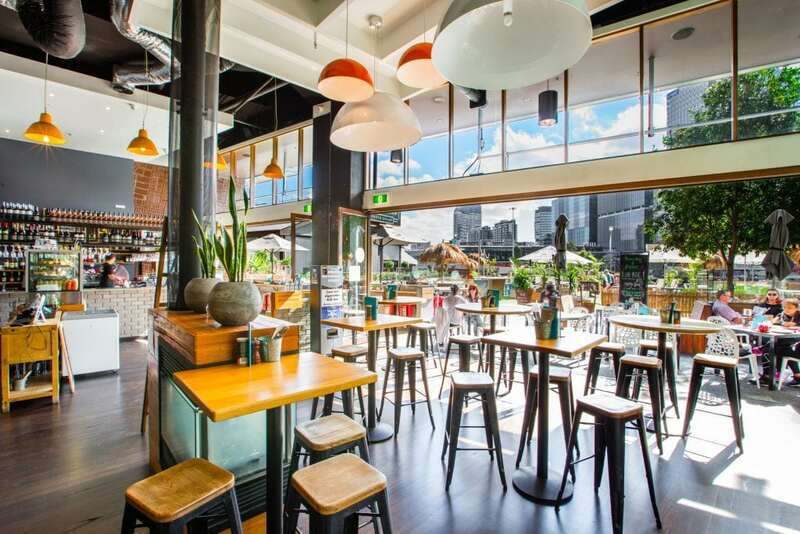 Their seated menus feature several choices of sharing menus, and set menu as well as Vegan degustation menu available. The island bar is perfect positioned for exclusive use cocktail parties. 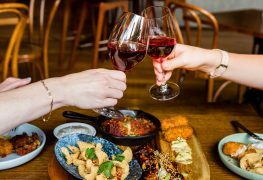 Bohemian Wine Bar offers guests sharing style dishes with modern flavours designed to compliment the perfect marriage of food & wine. 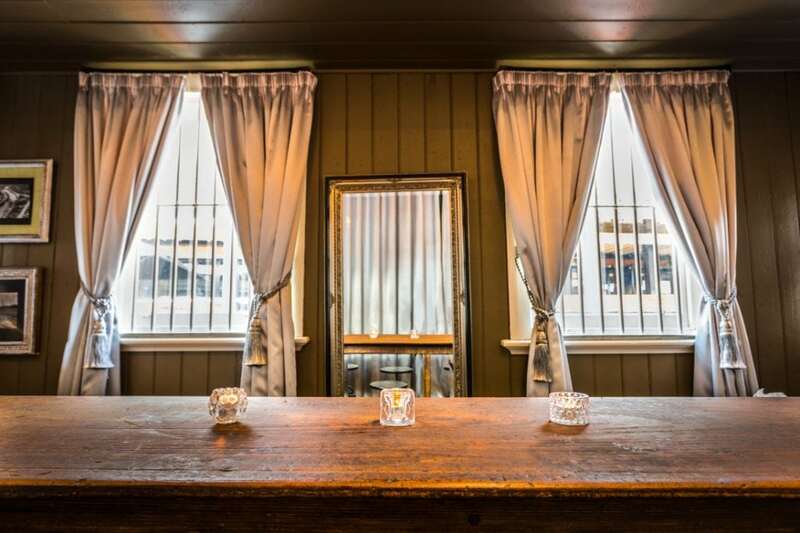 Available for exclusive venue hire for groups of 30 to 180 Bohemian Wine Bar is a fantastic space for intimate dinners and events and the perfect place for meetings with all your AV needs covered. Dedicated to the flavours of an open flame grill, Meat Market is the ideal spot to sample the best meats Victoria has to offer. 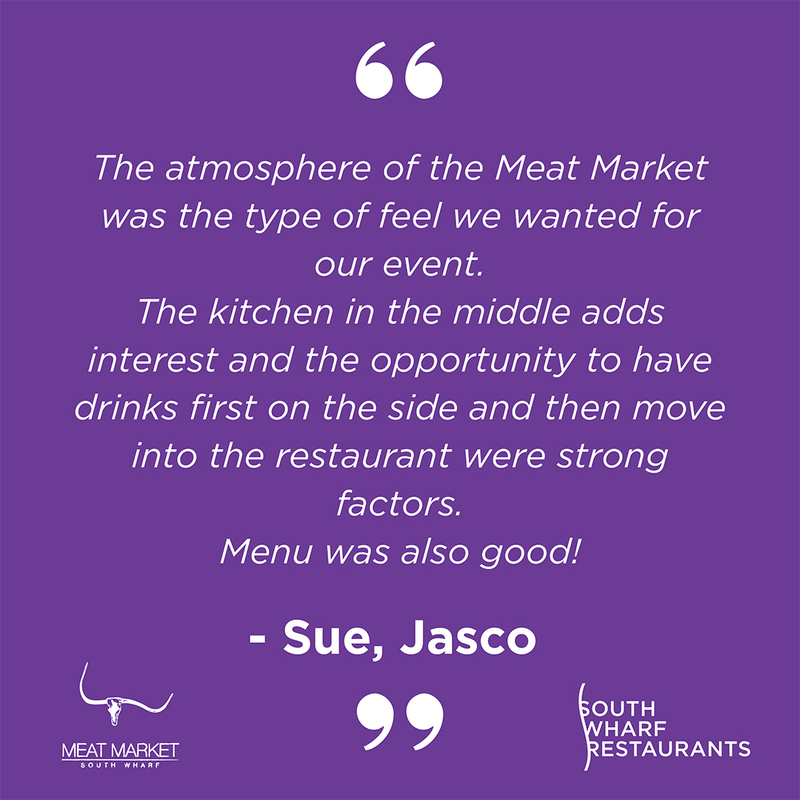 Meat Market is the perfect fit for intimate dinners, corporate dining or larger cocktail events. 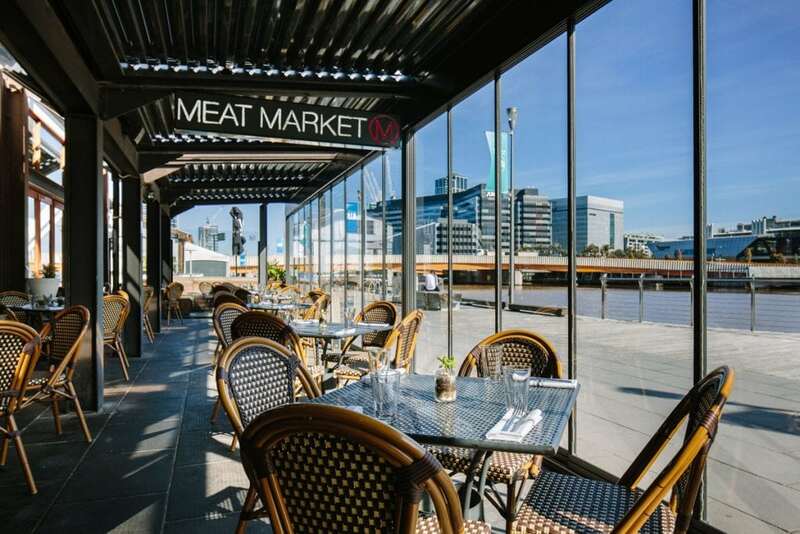 From cocktail events up to 320 people to sit down dinners for 60 people in our Riverside terrace Meat Market has flexible spaces to suit your needs. With a private dining room that can seat 12, right through to the entire venue, Plus 5 has the ability to be versatile and cost-effective for small functions and gatherings. Sit Down dinners for up to 50 people and cocktail style events up to 200. Akachochin is ideal for cocktail events up to 110 people or sit down dinners up to 80. 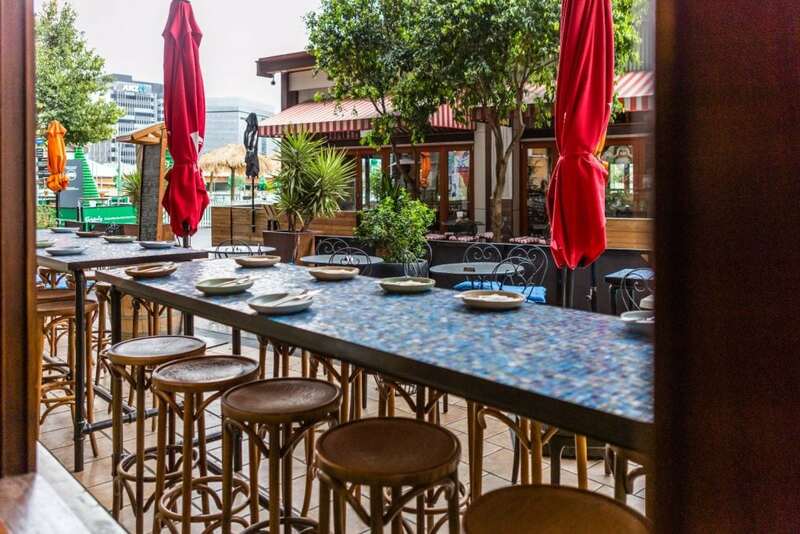 Their Izakaya style Japanese dining of small dishes are best enjoyed when shared with groups. 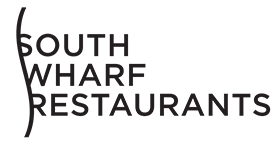 South Wharf Restaurants presents you with a unique opportunity to create something truly special on the banks of the Yarra River. 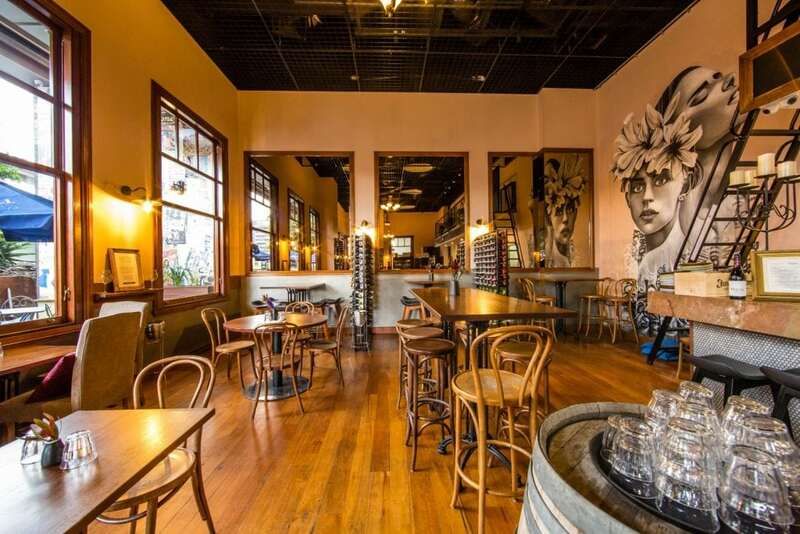 Combining several of these individual venues provides an interactive and diverse space a stone’s throw from the CBD. From 500 to 5,000 Guests. 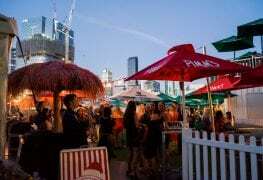 From Precinct Pop Up, Block Party to a Melbourne laneway style celebration – you create the space. 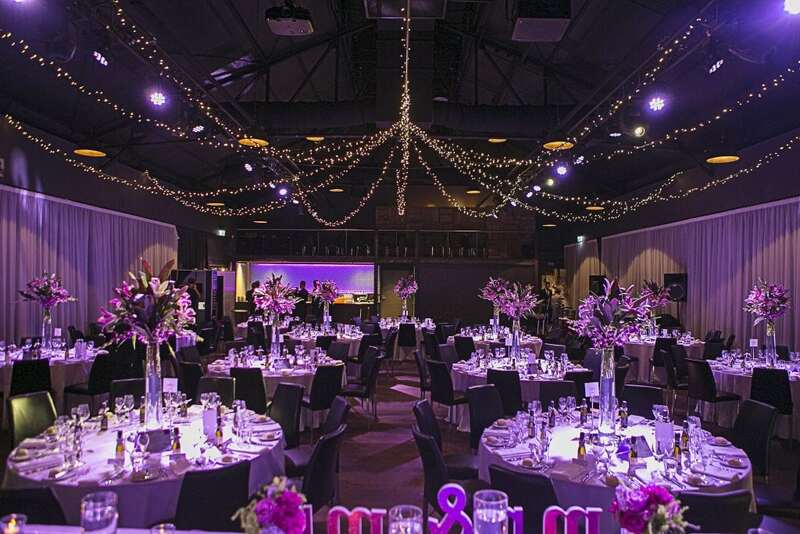 The award-winning Showtime Events Centre is one of Melbourne’s most unique and exciting events venues where contemporary and original features combine to create a modern, open and versatile space. Perfect for weddings, corporate functions and special events. 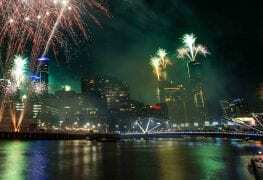 Highlights include a stunning custom designed chandelier bar and riverside terrace incredible city view. Showtime caters for events up to 280 sit down or 1,000 stand up. 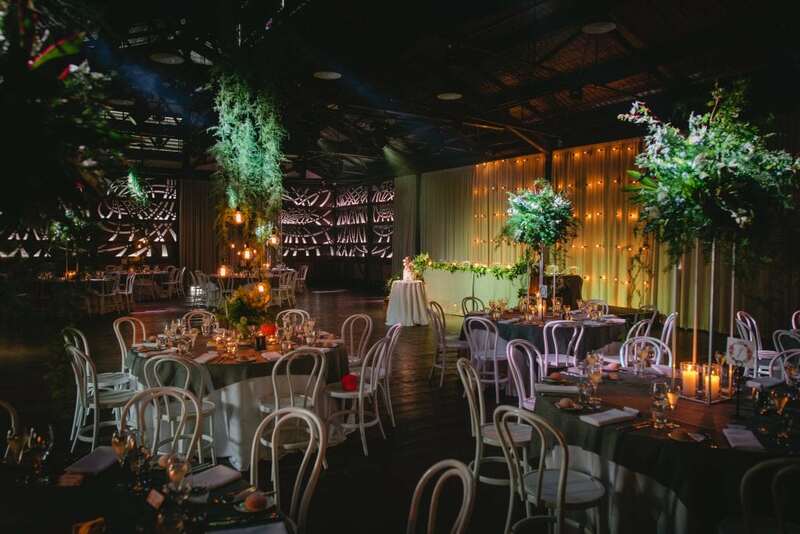 Featuring a suspended stage and retaining it’s original heritage feel, The Cargo Hall is an ultra-cool industrial space perfect for your next event. 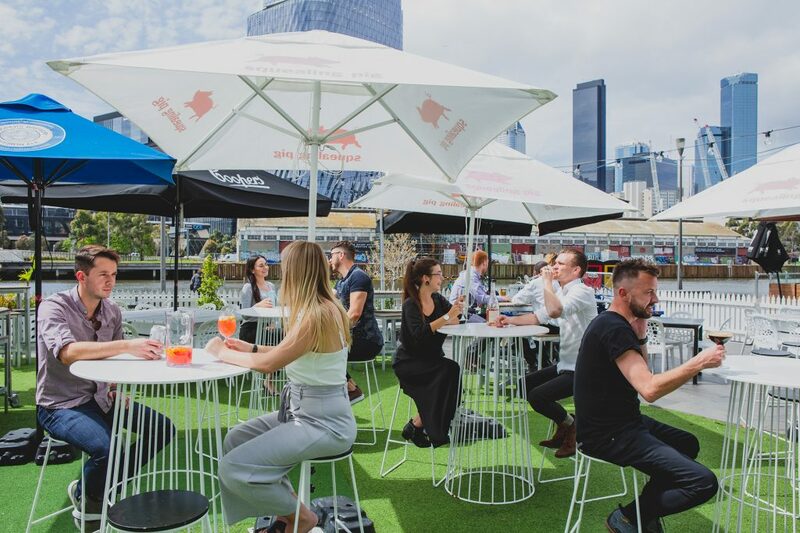 The Cargo Hall is ideal for parties, functions, dinners and weddings for up to 220, sit down or 600 stand up and offers uninterrupted views of Melbourne’s magical city Skyline. 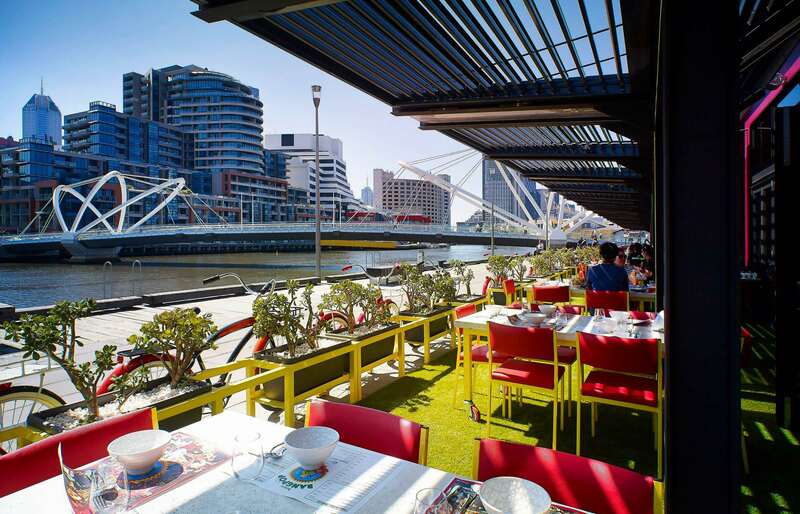 Existing as adjacent venues, Bohemian Wine Bar and Meat Market South Wharf can operate independently for smaller functions and events or together as one to offer a completely unique laneway and riverside cocktail function venue for events of up to 500 people. 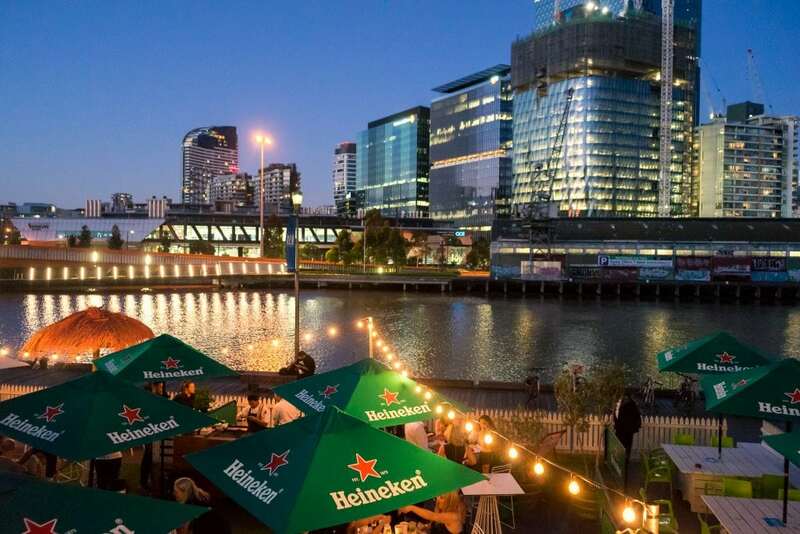 The Common Man with high ceilings and open spaces combined with the Common Lawn, a large astro-turfed garden area outside the Common Man overlooking the river is perfect for large events for up to 500 people. 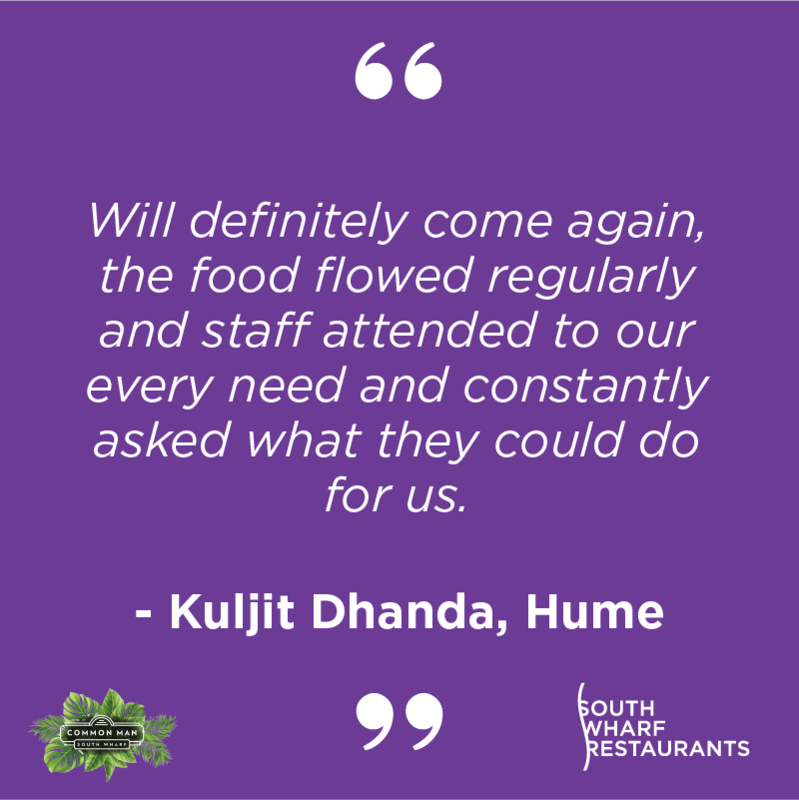 to find out about any of our products and to find the right space for your event.